In 2012, in the US, the fast food industry spent $4.6 billion to advertise (mostly unhealthy products) – with children and teens being the main target audiences. A new report released by the Yale Rudd Center for Food Policy & Obesity highlights some minor improvements such as healthier sides and beverages in most restaurants’ kids’ meals, but the fact that billions of dollars are spent each year to encourage kids to consume very unhealthy products is extremely worrying. 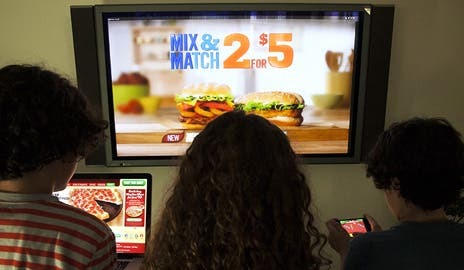 As it turns out, most fast food producers and restaurants are forcing more and more advertisements of unhealthy products to kids because they are easiest to influence and manipulate. The full report (as well as other information and tools for consumers) can be found here.